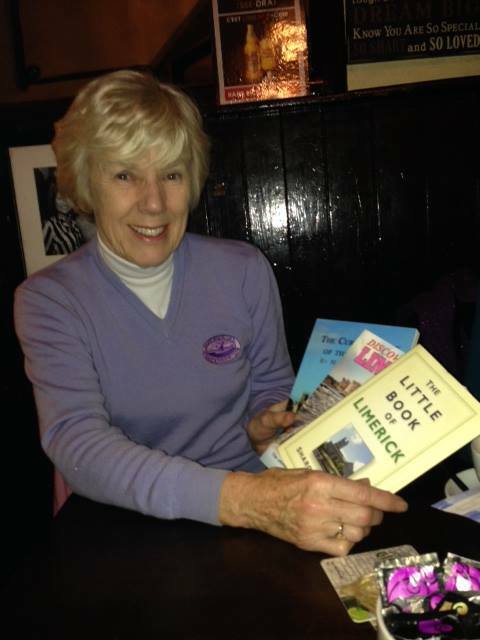 To start off the New Year we had a give-away of four bundles of Limerick books to four lucky volunteers who turned out on one of our Sunday morning at 11am on Thomas Street clean-ups. January and February were filled with extreme weather in Limerick, but this did not stop our core of volunteers from coming out nearly every week. We also had some newcomers, and want to thank Nathan and his his friends from California for coming out over two weeks to help to make Limerick a cleaner place for all. We could only have four winner and these were chosen at random from the volunteers who turned out each week. Ann with her bundle of books.